If you use more than one provider you should have an app, which supports transfer of files between the storages (i.e. USB Disk Pro). 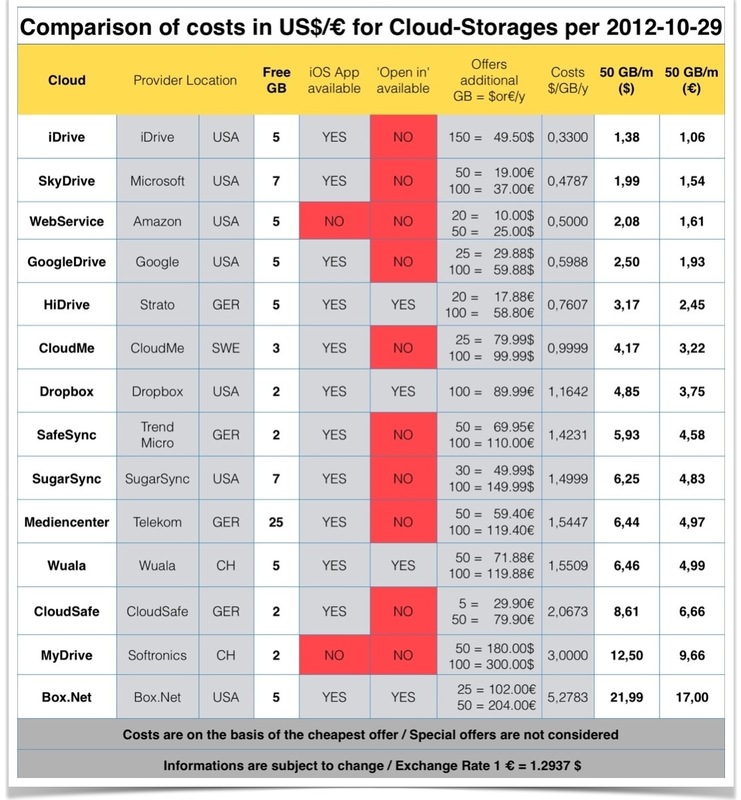 Here is a comparison of costs of different Cloud-Providers.